Tuning: the most common type of piano service is tuning. This should be done at a minimum, once every year, although twice per year is reccommended for most customers, especially for piano and other music students. Performance and rental instruments should be tuned for every event. Repairs: This covers a lot of territory. From a squeaky key that may need only a drop of lubricant to broken grand piano lyres, pedals and legs and everything in between. Most repairs can be done on site. For larger jobs, the part or assembly may need to be removed and repaired in my shop. Regulation: Tuning the touch. Adjustment of mechanical parts from the keys to the hammers that strike the strings, to achieve a uniform and responsive touch. Voicing: Tuning the tone. Adjustment of the hammers and strings to achieve a smooth transition of tone through all sections of the piano. Piano Life Saver System by Dampp-Chaser Installation: Maintain constant humidity. 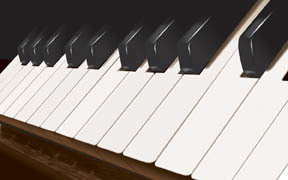 Controlling the humidity will help to stabilize your piano's tuning, regulation and voicing. I highly encourage my customers to consider this option to obtain the highest performance and stability from their piano. GARY MESSLING PIANO TUNING at (847) 312-9057.